Lock in a great price for Petit Ermitage - rated 8.6 by recent guests. 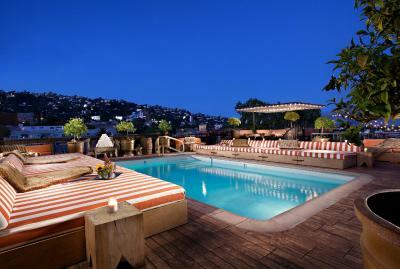 Beautiful roof top, cosy and comfy hotel "feels like home"
I won't stay anywhere else in WeHo anymore. It's fab. Pool and the service up there is fantastic. There is a positive energy and vibe at the property that makes you feel cool and hip... staff is really friendly and the rooftop pool area is gorgeous. This hotel is wonderful. A real treat. 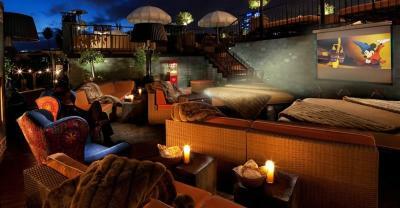 Make sure you take full advantage of the restaurant on the roof. I also LOVED the personalised hotel scent. Can you sell this online? I want more moisturizer! Always my go to hotel in Weho. Great location, lovely terrace and pool. The only thing we liked was the complimentary wine (because it was our anniversary) and the pool upstairs was nice to sit and look at the view. Very over priced food and drinks at the bar though. We are pretty picky but seriously appreciated everything from room (Junior Suite) to reception. 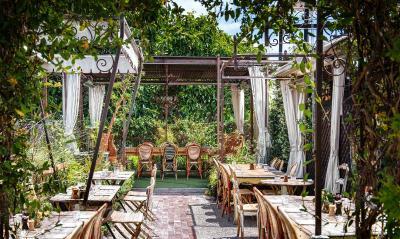 A lovely place in a nice part of LA with a wonderful roof area incl terrace/restaurant/pool. For those of you who do like concepts, a thought, a vision, as well as low key but still professional style and staff - well, this is the place for you! Add to this a breakfast beyond words (the French toast is amazingly tasty)! This hotel undersells itself in the area of guest activoties. They have unbelievable daily morning yoga woth Omar Lopez which is a great start to anyone’s day in LA, nightly entertainment and a v good menu. the coffee and tea selections in their spacious rooms are also v good. the pool is cute and chic. 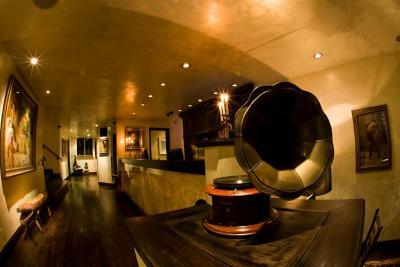 I am definitley switching from my regular stays at maison 140 to this. Atmosphere. Pool roof with fire place. Mix of urban LA people and guest hotels. Events. One of our top picks in Los Angeles.Offering a private rooftop with stunning views of Los Angeles, a saltwater pool and comfortable indoor/outdoor seating, this elegant 4-star hotel is within one mile of the Sunset Strip. Each spacious suite at Petit Ermitage is equipped with a flat-screen TV, free Wi-Fi and iPod docking station. All classically furnished rooms also include luxurious linens and goose down pillows. California Mediterranean cuisine is available 24 hours a day in-suite. Meals are created with local organic produce and vegetables from the hotel's rooftop garden. Spa services such massages, makeup application and personal fitness sessions are available in-suite 24 hours. 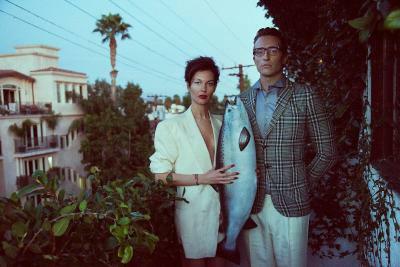 The fashionable Santa Monica Boulevard and Pacific Design Center are within 5 miles of the hotel. Universal Studios Hollywood is 15 minutes away by car. Petit Ermitage has been welcoming Booking.com guests since 29 Sept 2010. 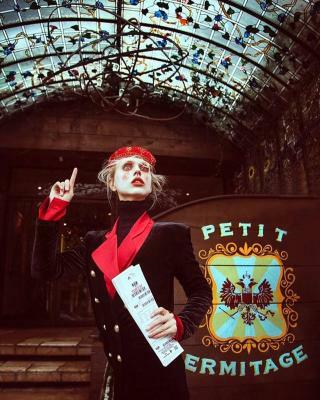 When would you like to stay at Petit Ermitage? This air-conditioned suite includes free WiFi, a kitchenette with a minibar, a dining nook for two, and a fully stocked honor bar. 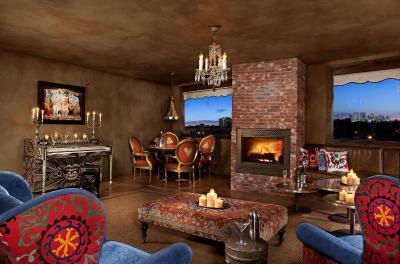 The suite also features hand crafted Venetian plaster walls, original art and a fireplace. 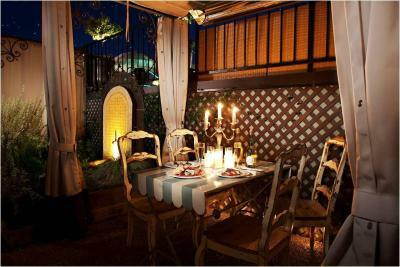 - This suite can only accommodate a maximum of 2 guests. 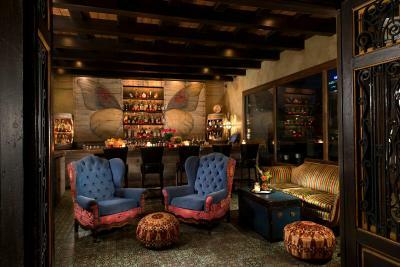 This air-conditioned suite includes free WiFi and a fully stocked honor bar. The suite also features hand crafted Venetian plaster walls, original art, a separate seating area with a sofa bed, a balcony, and a fireplace. This air-conditioned suite includes free WiFi, a kitchenette with a minibar and a dining nook for two. - This room can only accommodate a maximum of 2 guests. 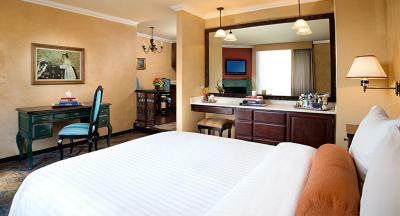 This air-conditioned suite includes free WiFi, a separate seating area with a sofa bed, and a kitchenette. House rules Petit Ermitage takes special requests - add in the next step! Petit Ermitage accepts these cards and reserves the right to temporarily hold an amount prior to arrival. All guests must be 21 years of age or older to check in. Please note: Children under the age of 18 can swim in the pool accompanied by an adult from 07:00 to 12:00 only. Please note: Sofa beds are only available upon request beforehand. Please note: The card utilized for booking will be authorized for the first night of room and tax. Guests are required to provide a debit or credit card for payment upon arrival. This card will be authorized for the full room and tax for your stay as well as $150 USD per day to cover incidental charges. This authorization will hold the funds until check out, whereupon the amount actually incurred during the stay will be charged. Funds that are not utilized during the stay will be released upon check-out and placed back onto the card presented. Please be aware that this hold can take up to 30 days to be released by your bank or financial institution. Always pleased with our experience here. The staff is amazing- courteous, friendly and acommodating ! Staff can be more friendly. The events/shows performed at this hotel are unlike any other(recommended). The atmosphere/ambiance created are always special. Will definitely go back. They were shooting something while we were there. The rooftop is said to be private but it really doesn’t feel private when a drone keeps flying around you and then someone is doing on camera interviews right in front of the pool. I was going to go swimming but didn’t want to be in my bikini on camera for whatever the hell the show was. The hotel should have let their guests know there would be filming at the pool the morning after valentine’s day and should have discounted the rate. Seriously to not know that you need to tell people you are filming in Hollywood of all places is a real problem. They will not get the A list clientele that was being boasted about in their video if word spreads that privacy is an issue because they literally have drones picking up footage without warning! Normally this would have made me want to give this hotel one star but I do really love everything else and the staff was really incredible. I was very conflicted and annoyed! The esthetic, the atmosphere, the food, the COCKTAILS, the room, the amenities, the beds, the kindness of the staff! It is the most charming hotel I have ever stayed in the US. Very loud & my friends left because of it. They couldn’t even get any sleep. The staff seemed like a bunch of college kids & not professional. I also was refused service for a glass of wine after my own hotel. I was not falling down or acting out of control. I decided then to change hotels because I had had enough. Terrible. Asked for a quite room, which they confirmed, got a room on the second floor next to the road that was very noisy. Bath tub was in terrible condition Room extremely dark and carpet dirty Service varied at bar from excellent to poor The resort levy only has value if you do Yoga and want to listen to their entertainment Food and drinks expensive They have processed 2 blocks on my credit card which is nearly double what the bill was, these are still not reversed. -they had a few issues with the fireplace, AC not working at first, and the wifi didn't work in the room. I liked the rooftop and the bed was comfortable. I also liked the bathroom and bath supplies. :-) I also really liked the staff who was super helpful and accommodating. They even fixed the bill a bit to make up for the issues in the room. Thanks staff, Happy Holidays! the parking fees were not clear. 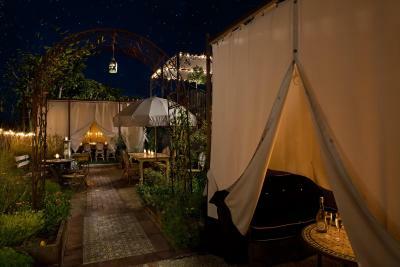 $45 per night is extremely unreasonable for LA.